BBC’s Radio 3 has been more than generous about ‘Forbidden Music’. First Rob Cowan mentioned it three Sundays ago in his Sunday breakfast programme, then last Sunday he raised the subject of the book again, followed by a CD I had the good fortune to produce with works by Schulhoff, Ullmann and Tauský performed by the English Chamber Orchestra with conductor David Parry and featuring the flutist Ulrike Anton and pianist Russell Ryan. This week James Jolly mentioned (again!) ‘Forbidden Music’ and in his morning programme offered works by Egon Wellesz and Hans Gál. Next week, Music Matters, also on Radio 3, will discuss the book in some detail with David Nice and John Deathridge. James Jolly played a recording of Gál’s cello concerto from 1944. It is a beautiful, melancholic work and indeed, it could hardly have been anything else. Gál’s sister and Aunt committed suicide in Weimar rather than face deportation in 1939. His mother had died in Weimar a few months before. Gál’s teenage son Peter committed suicide due to the frustration and alienation that came from the trauma of Hitler’s arrival in 1933. It forced Gál’s young family to leave their happy life in Mannheim and return to Vienna, before having to flee Hitler again in 1938. The opening subject of the cello concerto is the only work of Gál’s that offers the Eastern echoes suggesting a Jewish identification, though I’m quite certain that he, similar to Berthold Goldschmidt, would have denounced such impressions as nonsense. Yet like so many composers who had left their religious practices behind, persecution for a creed they no longer adhered to, reminded them that being Jewish also meant belonging to one of Europe’s many peoples and cultures. Hitler had denied them their native sense of being German and Austrian and many came to recognise their own ‘Jewish’ identity as being far more than ascribing to a set of religious beliefs. Acknowledgment of a strong sense of European, Jewish culture as a replacement for their stolen Austro-German identities can be found in works by such secular Jewish composers as Ernst Toch, Erich Zeisl, Berthold Goldschmidt and even Erich Korngold. Somehow, Gál, more successfully than the others, reflects these elements without resort to liturgical modes or klezmer echoes from the shtetl. The performance chosen by the BBC’s James Jolly was one I was not familiar with, yet it captured all of the elements that I find make this work a true 20th century masterpiece. Antonio Menesis is the soloist with the Northern Sinfonia conducted by Claudio Cruz. The recording has been released by AVIE, but listeners (also outside of the UK?) can access the link to today’s broadcast via: http://www.bbc.co.uk/programmes/b0261v9l Spool forward to 1:21. 50. 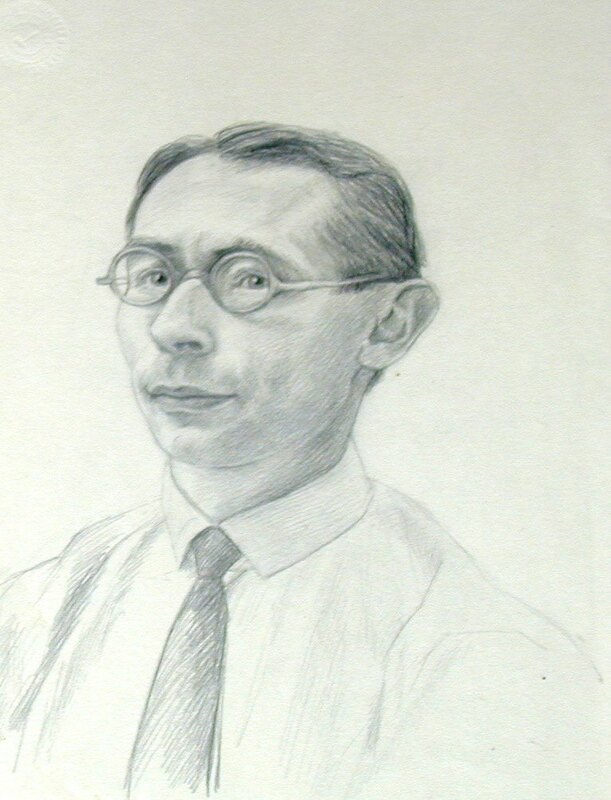 The accompanying photo is a sketch of Hans Gál that was made in the British internment camp Douglas on the Isle of Man by fellow internee Arthur Paunzen. Paunzen was a relatively well known Austrian painter who, like many others, died in the camp. Gál was convinced that this might be his fate as well. His other son had been deported – destination unknown – and the rest of his family was in the hands of the enemy. His internment memoirs do not make for pleasant reading and provide a sobering antidote to the more usual portrayal of British enemy-alien internment as a period that was hardly enforced detainment, but rather an open university with a string quartet in every barrack and evening lectures on particle physics or Byzantine notation. The many suicides, deaths, flights and fear of having to flee again are what colour this work and make it one of his most impressive.